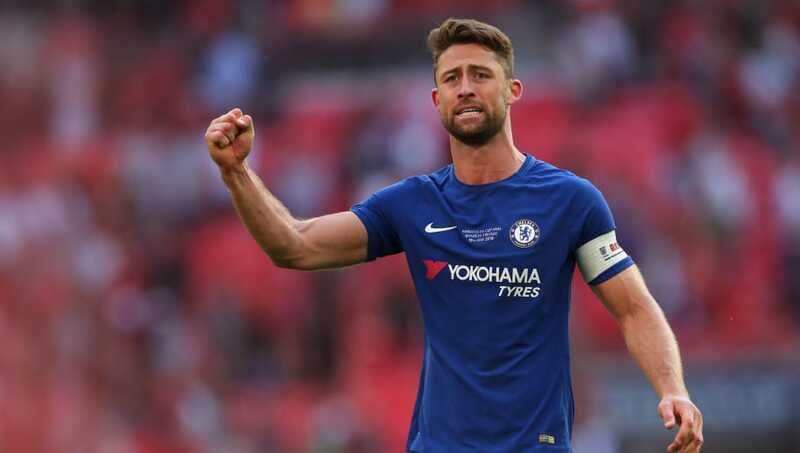 Chelsea have given Galatasaray permission to talk to their English defender Gary Cahill regarding a potential transfer​, according to reports from Turkey. Cahill's days at Stamford Bridge appear to be numbered as he has not been included in Maurizio Sarri's 18-man squad for either of the Blues' first two ​Premier League games under the Italian. Antonio Rudiger and David Luiz have been Sarri's preferred centre back partnership so far, with Andreas Christensen as the option on the bench. Right back Cesar Azpilicueta and youngster Ethan Ampadu are also capable of playing in the middle. Turkish outlet ​Fotomac claims that ​Chelsea have given the Turkish champions permission to speak to Cahill, whose current contract expires at the end of the season. Galatasaray turned their attentions to Cahill after missing out on ​Manchester City defender Jason Denayer, who joined Lyon instead. They have until September 1 to complete the signing of the experienced centre back. Cahill has been a Chelsea player for nearly seven years since joining the club from ​Bolton in January 2012. He has made over 280 appearances since then and has won six major trophies in that time. He has also won 61 caps for England and was included in Gareth Southgate's squad at the 2018 World Cup, but only appeared in the meaningless Group G match against Belgium. Galatasaray have already delved into the English market this summer, signing Everton youngster Henry Onyekuru on loan.